We are so pleased that you will be joining us in Okurase. 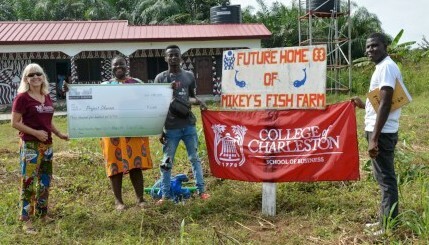 Ghana to help with Mikey's Fish Farm Program. A detailed itinerary with additional information about the trip to Okurase, Ghana is provided below. Let us know if you have any questions. To register, click on the "Register Now" button. During registration, we request you upload a photo of your main passport page and the Ghanaian VISA in your passport. If this information is not available at the time of registration, it is very important that you send it to us as soon as you receive it. You will not pay online as you register. You will pay the College of Charleston directly per your College of Charleston Trip Leader's instructions.